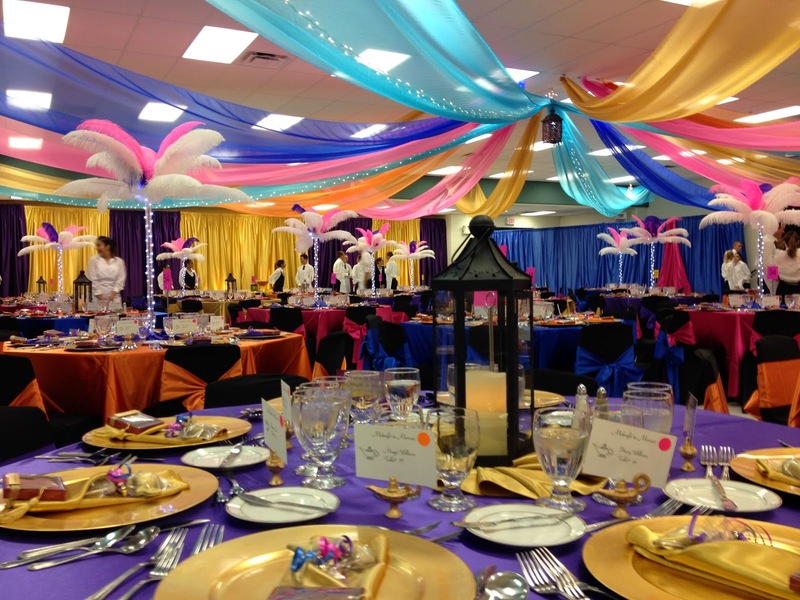 Summerlin Military Academy holds an Annual Sophomore Dining out Event where they transform a School Cafeteria into an elegant space for a 7 course dinner. 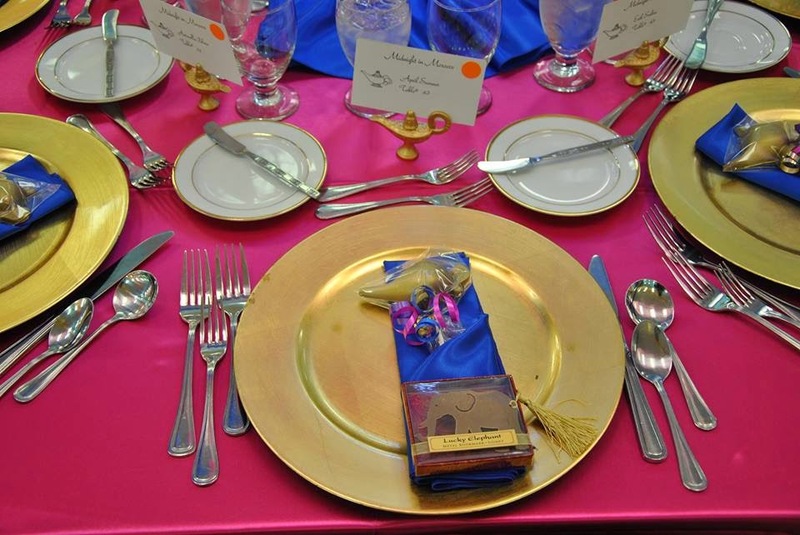 This event is an opportunity for Upperclassman to serve as wait staff, and the Sophomores use the skills they have learned in ROTC on etiquette. 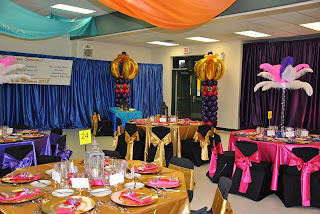 This was our 2nd year that Party People was hired to assist with the transformation. 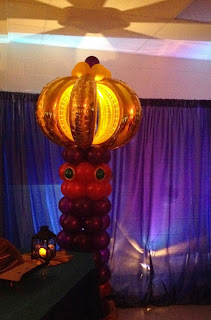 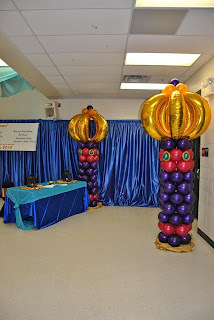 2 Elegant Balloon columns set the theme at the entrance. 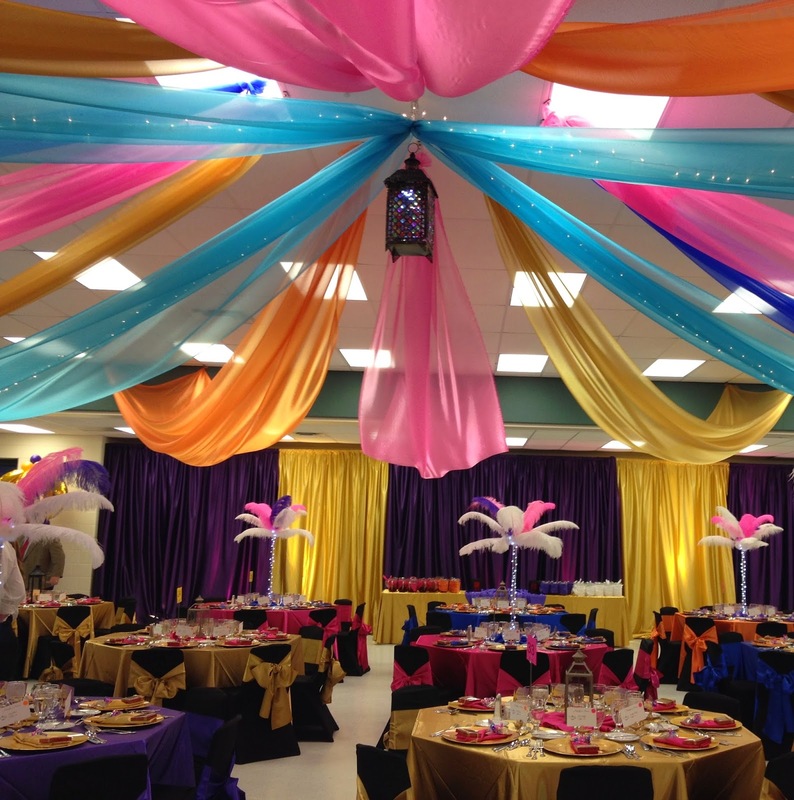 Specialty lighting creates a wonderful effect. 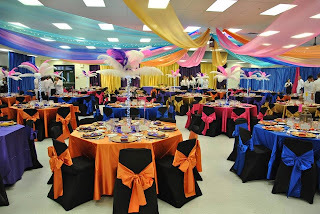 Party People served as the coordinator of decor contracting the bold linens for the Tables and Chair covers. Amazing Volunteers and students provided the labor to install the decor being lead by Party People Staff. Party People's Feather Centerpieces really make a statement in the room. 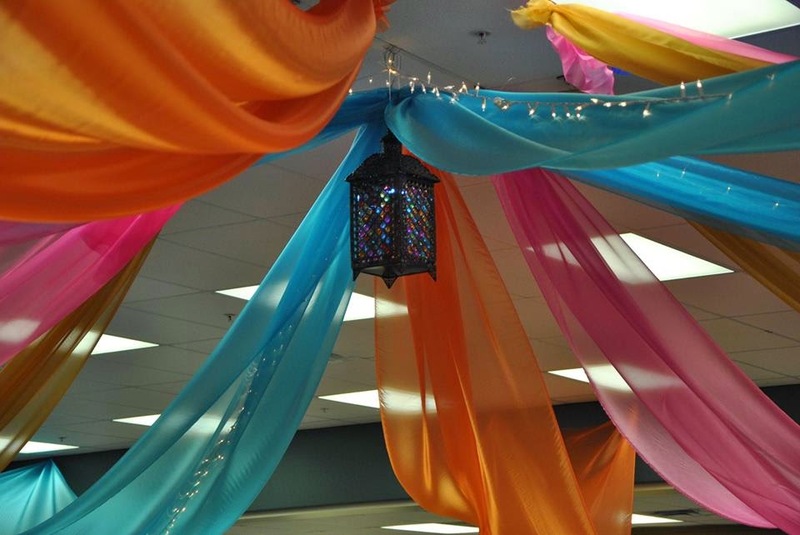 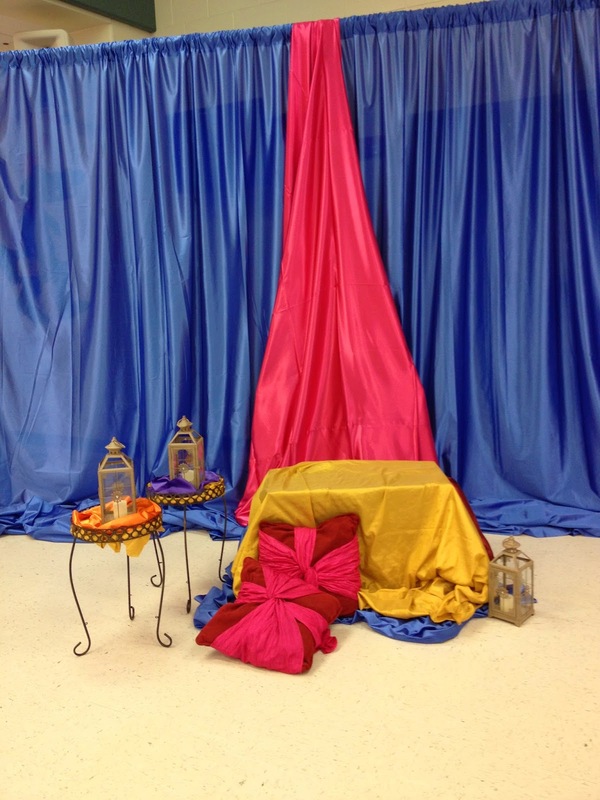 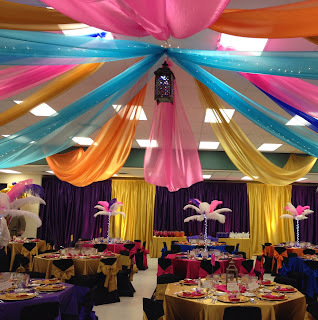 Colorful Organza Canopy created by Party People and accented with a wonderful lantern as focal point. 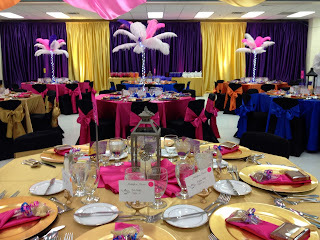 Party people Feather centerpieces with led lighting created a wonderful glow around the room. 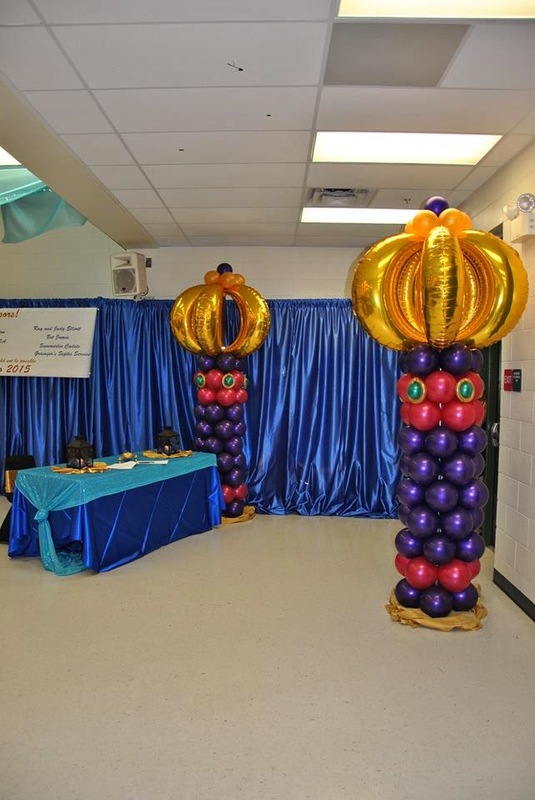 Call 1-800-752-3650 ext 2 to have Party People Create custom decor for your celebration.